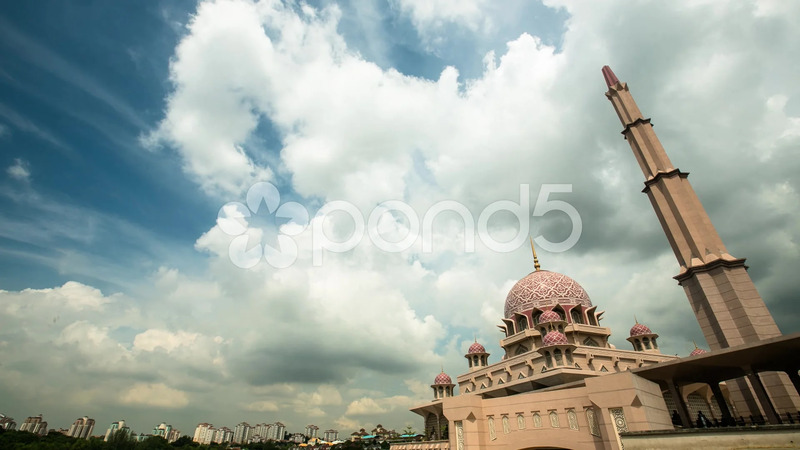 Description: A low angle timelapse of clouds over Putra Mosque. The footage is taken in Malaysia's federal administrative center, Putrajaya. Cumulonimbus clouds, beautifully decorated pink dome and a tall minaret can be seen in the shot.